So the next time a brownie craving has you running madly around the kitchen, don’t waste upwards of an hour to fulfill it. 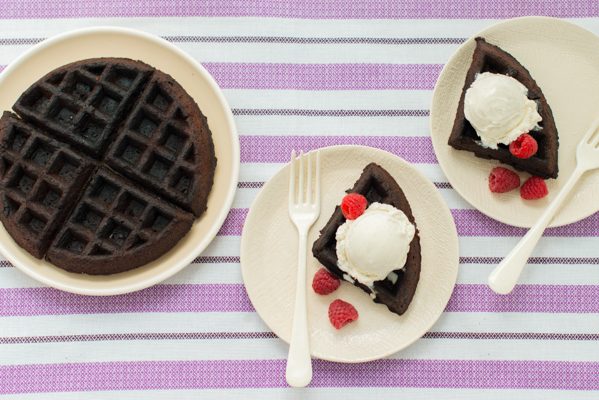 These double chocolate brownie waffles are just as rich and decadent, and ready in less than half the time. 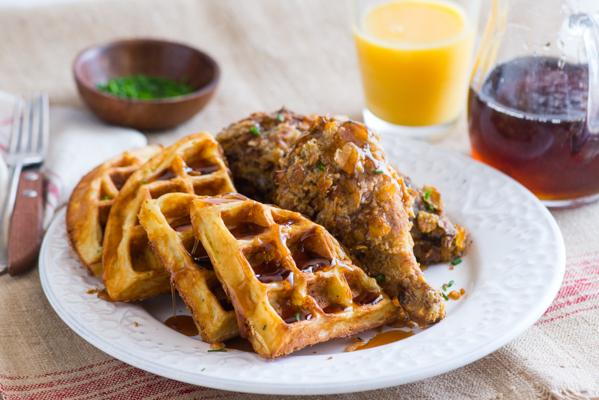 The challenge is to make chicken and waffles. I live in the south and on occasion will order chicken and waffles when I’m out at a restaurant or food truck, but I’ve never made it at home. 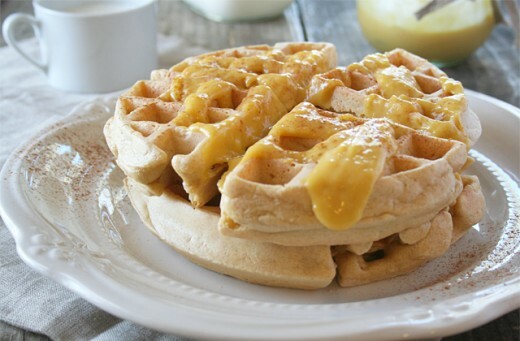 I’m sure when you think of waffles, you think of stacks of fluffy sweet waffles dripping with maple syrup, perhaps with some fruit on the side or a dusting of powdered sugar. 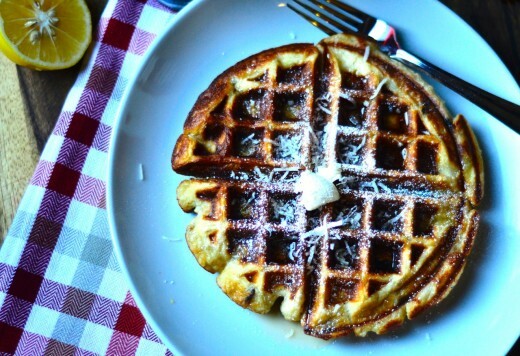 And indeed, waffles are most often served sweet. 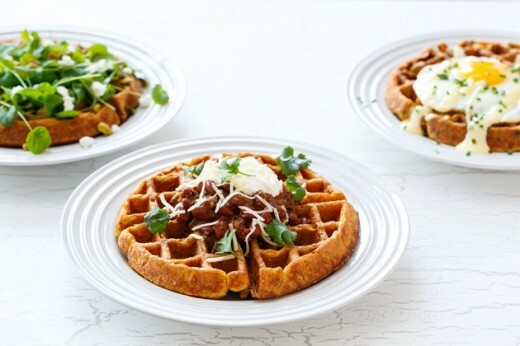 You just can’t beat a brunch for a casual gathering, any time of the year! What I love about having people over for a brunch is the easy feel of entertaining, and that you’re not as pressed for time, especially if it’s a weekend brunch.